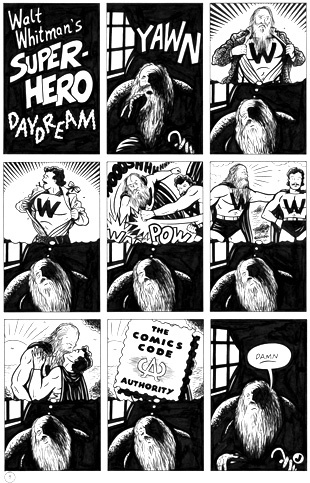 One-page piece from the first issue of my Fantagraphics comic WHOTNOT. This one has traveled a bit, having hung in shows from Massachusetts to Portugal. 1993. Art area is 8" x 12 1/2". India ink on bristol board.